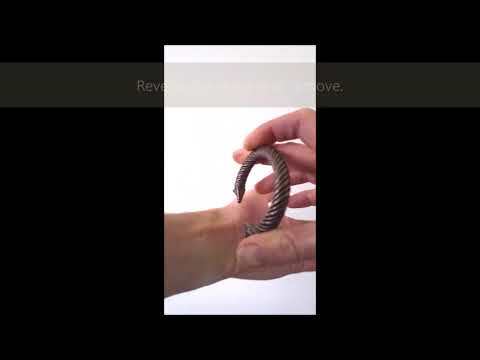 Based on the neck torcs worn by ancient Celtic warriors, this wrist torc design has boars head terminals. The strong wild boar was one of the most important totem animals of the Gaelic Celts. Width and depth measurements of the widest point of your wrist are needed so the item can be customized to ensure a good fit.